After seeding iOS 7.1 beta 2 a few weeks back, Apple has seeded the iOS 7.1 beta 3 download links for developers of iOS Developer Program. Apple’s latest iOS 7.1 beta 3 includes some bug fixes and improvements. However, we are looking forward if the devs find any new features. 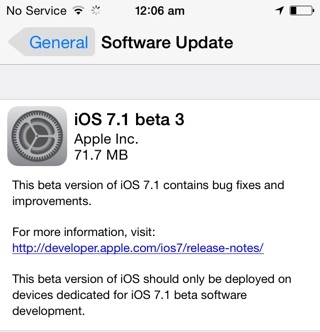 The iOS 7.1 beta 3 is available as an OTA download for devs who have already updated their devices to beta 2. Please note these links will only work for registered developers. 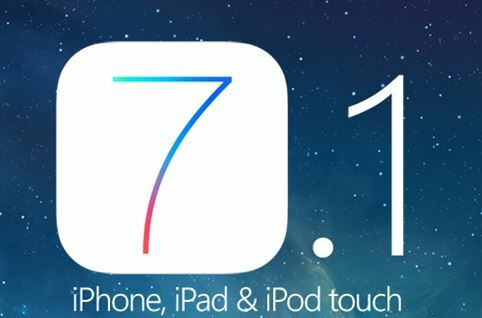 iOS 7.1 Official Release Date for Public – No More Beta Releases Expected!